Worlds collide when two strangers meet at Waterloo station. It's a moment they'll never forget. Perfect for the fans of Milly Johnson. 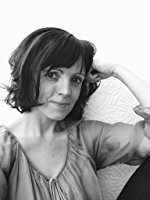 Lauren Westwood writes romantic women's fiction, and is also an award-winning children's writer. Originally from California, she now lives in England in a pernickety old house built in 1602, with her partner and three daughters. 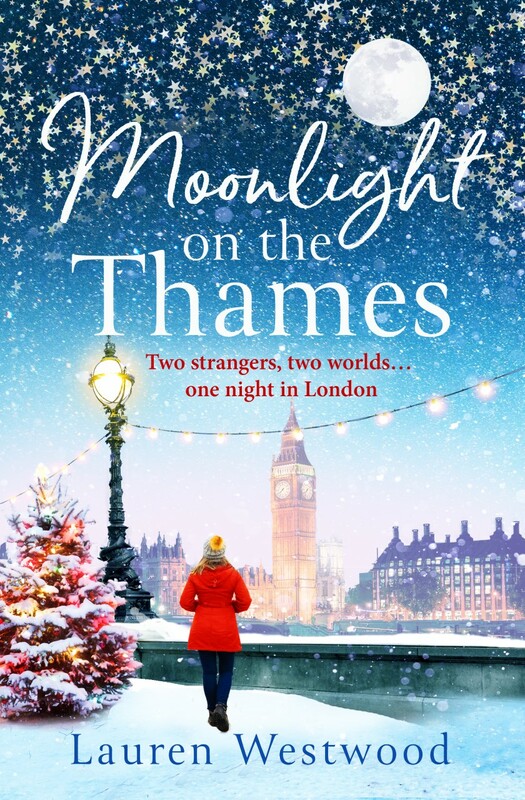 This is a different sort of Christmas book to the ones I normally read but I am glad I read this as it was a really great read. I really liked the characters in this and their storylines, Nicola and Dmitri they both have had a tough time of it and I really enjoyed reading more about them and I felt that spark between them from the minute they first meet. Some parts are difficult to read and brought a tear to my eye but this was just a small part of the book. From the minute I read this book I had to keep reading I was really intrigued to what was going to happen. Also the music throughout which is referenced was fantastic. *Terms and Conditions –UK entries welcome. Please enter using the Rafflecopter box below. The winner will be selected at random via Rafflecopter from all valid entries and will be notified by Twitter and/or email. If no response is received within 7 days then I reserve the right to select an alternative winner. Open to all entrants aged 18 or over. Any personal data given as part of the competition entry is used for this purpose only and will not be shared with third parties, with the exception of the winners’ information. This will passed to the giveaway organiser and used only for fulfilment of the prize, after which time I will delete the data. I am not responsible for despatch or delivery of the prize. 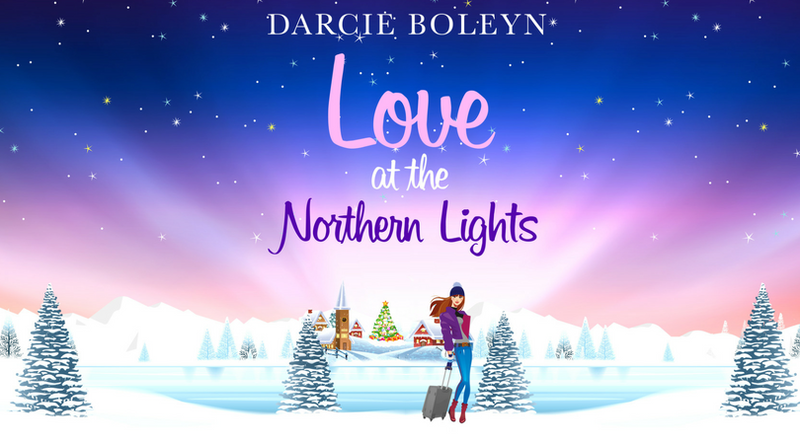 Today I am over the moon to be starting off the blog tour for Love at the Northern Lights by Darcir Boleyn. I was lucky enough to be on the first tour so it is a great pleasure to be on the second tour. 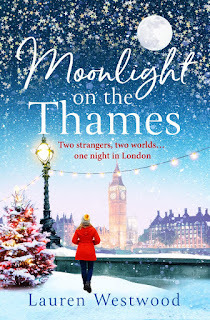 I have an extract from the book to share with you all and I really hope reading this today inspires you to go and read this book as it really is such a magical read. I would also like to take this opportunity to say this has to be my favourite book of 2018! Runaway bride Frankie Ashford hops a plane to Norway with one goal in mind - find her estranged mother and make peace with the past. But when a slip on the ice in Oslo lands her directly in Jonas Thorsen’s viking-strong arms, her single-minded focus drifts away in the winter winds. When it comes to romance Jonas knows that anything he and Frankie share has an expiration date - the British heiress has a life to return to in London that’s a world away from his own. But family is everything to Jonas and, as the one man who can help Frankie find the answers she’s seeking, he’ll do whatever it takes to help her reunite with her mother. Now, as Christmas draws closer and the northern lights work their magic Frankie and Jonas will have to make a choice...play it safe or risk heartbreak to take a chance on love. Firstly how magical is that cover! It has got to be one of the most stunning covers I have ever seen! The colours are gorgeous! So after seeing that I was so so excited to get stuck in and read it! Love at the Northern Lights is the best book I have read it has got to be my favourite. I absolutely loved it! Every single page was a pure joy to read and it made me so happy. I had tears in my eyes so many times - a mixture of happy and sad ones so prepare the tissues! Frankie was a fantastic character you just love her from the first page, she is a girl I would love to be friends with, she is so kind and friendly and I just wanted her to find her happy ever after and she so desperately needs it! Oh and Jona's! Hubba Hubba he is amazing! I think I have fallen in love with him! 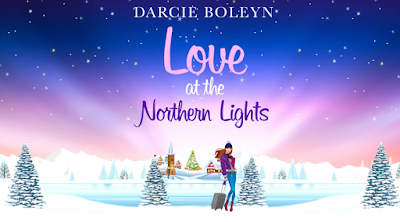 The Northern Lights is something I would love to visit and see and I absolutely loved hearing about them in this book and I thought it was the perfect location for this book - So Romantic! Such a magical romantic book! Just as Frankie was heading down the drive, she heard the crunching of gravel behind her. She turned around and her heart plummeted. She thought about speeding up but knew that would only delay the inevitable showdown, so she’d just as well grit her teeth and take it on the chin here and now. She let go of the handle of her suitcase, pushed her shoulders back and watched as Grandma approached, surprisingly fast in her three-inch heels and lavender two piece, her antique pearl and peacock feather fascinator bobbing on the side of her head. ‘Don’t be so beastly! You can’t leave… this is your wedding day. Oh blazes! What have you done to your beautiful, beautiful dress?’ Grandma pressed her veiny hands to her mouth in horror, and Frankie saw that her long nails matched the colour of her suit. ‘Why is that amusing?’ Frankie put her hands on her hips. Frankie’s legs were trembling as she stood there trying to be brave in the face of her grandmother’s wrath. Throughout her entire life, she’d given in to this woman, allowed the matriarch to bully her into doing whatever she wanted, even allowed her to destroy her own dreams of becoming a fashion designer. Grandma’s word had been law and Frankie had rarely questioned it. And where had that got her? She was twenty-nine, in a career that had been a compromise because she’d needed something outside the home and family, and she’d agreed to marry a man she didn’t love. She didn’t know her own mother and had even allowed Grandma to prevent her from trying to find out more about her. Frankie was, she had to admit it now, terribly unhappy. Grandma’s face turned red right up to the roots of her white hair – that sat in a style she’d copied from the Queen, and that she’d had for as long as Frankie had known her – and she raised her hand. Frankie instinctively stepped back, fearing a physical blow or that Grandma might grab her arm and drag her back to the house, but instead it was a barrage of words that hit her full force, and a shaking finger that cut through the air between them, the lacquered nail at the end like some sort of blade. Frankie glanced down the driveway to where freedom beckoned, then she glanced up towards the stately home where a lifetime of unhappiness awaited, then, finally, she met her grandmother’s cold gaze again. Grandma’s lip curled and she bared her teeth. Frankie opened her mouth, a thousand recriminations on the tip of her tongue, but she knew that venting them would make nothing better. Grandma had never listened to what she had to say; why would she start now? So she pulled the handle of her suitcase up again, lifted her chin then set off down the driveway, trying to ignore the insults that Grandma muttered in her wake, and trying to ignore the ache in her heart. Kate Thompson used to love Christmas. But that was before her husband went away with the army and didn't come home. Now she can hardly stand the festive season. But Kate knows there is more to life than this, and her son Jack needs a Christmas to remember. What she needs is a Christmas miracle, and if there isn't one on its way, she'll just have to make her own. So begins Kate's advent countdown to the best Christmas ever. 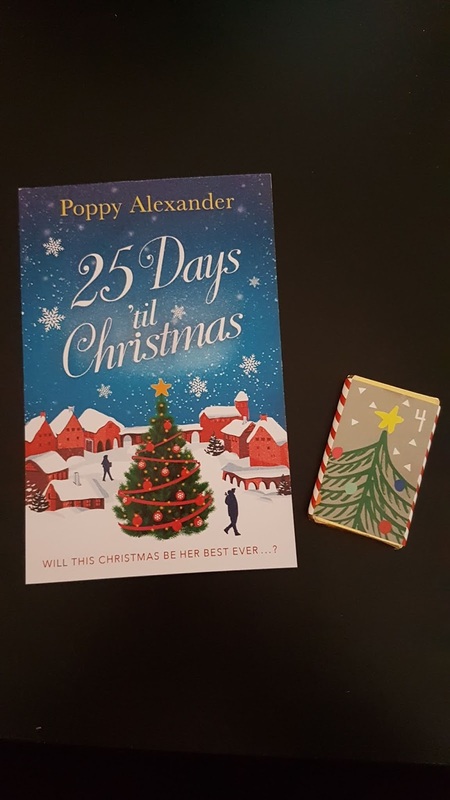 She has it all planned out, but you can't plan for the unexpected, and when her life starts to unravel can her friends and the community around her help her save Christmas for all of them...? 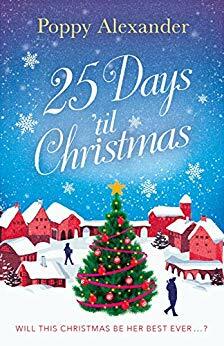 Curl up and countdown to Christmas with a heart-warming festive romance, perfect for fans of Jenny Colgan, Debbie Johnson, and Holly Martin. Oh my goodness! This is definitely up there in my top Christmas books! I absolutely loved everything about it. Such a beautiful heart warming read. The characters are so lovely and I grew really fond of them and was gutted when I read that last page and had to let them go. JessicaBell. Travel theme. Theme images by enjoynz. Powered by Blogger.